Scent-detection dog : A TMAU & Body Odor sufferer's best friend! Dogs can separate one odor into all its components. We smell beef stew, they smell potatoes, peas, carrots, etc. Pawsibilities Unleashed, Pet Therapy of Kentucky, Inc., is kindly donating a puppy and training it as a TMAU Service DogIt has been said many times in the forums, conference calls, and meetups, that the most difficult aspect of undergoing any odor-management protocol is to not have feedback about one’s odor levels, as family members and the sufferer seem to have, or develop, an anosmia to the body odors. It is not clear why this should be. The 2 main theories are that they have become acclimatized to the odor, or there is some sort of 'anosmia immunity' from smelling the body odors. Perhaps the saddest irony about the problem is that the sufferer has no way of monitoring their condition as a result. So, what options does a sufferer have to measure his/her odor levels? Apart from purchasing very expensive equipment that would have the capacity to measure only some odorous compounds, which is not practical anyhow, there is also another option - to obtain a Trimethylaminuria Medical Alert Service Dog (SD) trained specifically to give immediate feedback not only about whether a sufferer has odor, but to also indicate if the odor is at a high or low level. The main aim would be to help the person understand their 'smell pattern', Humans acclimate to scent in a room - dogs never doso that perhaps they could alter their diet to suit, to better understand what triggers it, and to plan social activities accordingly. The service dog could offer many other social skills and psychological benefits, such as being a companion and boosting confidence, for example. An SD’s immediate feedback on a sufferer's odor levels can help him or her feel empowered and confident, allowing for a sense of greater freedom that encourages the sufferer to become more involved in social situations while having lower odor levels. SDs are trained to also sooth anxiety panic-attacks and depression. 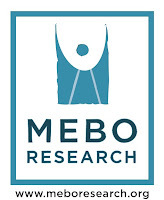 MeBO has proactively been looking into testing the possibility of training a service dog for trimethylaminuria sufferers, and ultimately for sufferers of other types of body odor conditions. Initially, the focus will be working with a diagnosed TMAU sufferer, since the odor can be more easily reproduced in a controlled manner to train the dog. Dogs have a huge amount of brainpower devoted to scent (size of large walnut, matched to a humans pea size area).After looking for dog trainers who specialize in dogs trained to help with health disorders such as diabetes and seizures based on scent, we were fortunate to get a positive and supportive response from Frankfort Master Trainer Liz Norris, who runs Pawsibilities Unleashed, Pet Therapy of Kentucky, Inc., This non-profit 501(c)3 organization has worked with training SDs for persons with a wide range of disabilities, including Diabetes (works on three different odor levels), Epilepsy, Anxiety/Depression, PTSD, Autism/ASD, Hearing/Signal, Medical Alert conditions (sleep apnea, migraine & Fibromyalgia, Blood pressure, Willims syndrome, Dravet Syndrome, Motility Assistance). MeBO has been discussing at length the possibility of training a TMAU Service Dog with Pawsibilities' Founder, Liz Norris, AKC-CGC Instructor, and Therapy Evaluator. Normally it would cost a minimum of $5,000 to train a dog, but Liz has most generously offered us her services and donated to our cause $5,000-worth of training expenses including her personal time and a puppy with the proper temperament to be trained specifically as a TMAU Service Dog. This training will encompass Service Dog Manners, Public Access Work, Obedience Training, Scent work, Crate/House training, AKC S.T.A.R. Puppy Certification, AKC Canine Good Citizenship if dog is ready. The plan is to find a volunteer who will be willing to be the first 'owner' of a TMAU Dog, and there is an opportunity for someone to be trained by Liz as a SD Trainer if they wish, in the hope that someday there will be a specialized TMAU SD Trainer in the USA if the trial is a success. The only initial expense MeBO will incur for our first TMAU Service Dog will be $130.00 to do vetting for the dog through their program (includes spay or neuter, Microchipping, parvo, distemper, bordetella, worming, frontline for a month and rabies...normally a cost of $300.00+). Dogs have been used to detect gas leaks 20 feet below ground. The best human instruments could not. If the TMAU Service Dog project is a success, we hope it would lead to an invaluable program for TMAU and other BO conditions sufferers in the US and abroad. If all goes well, perhaps service dogs can someday assist in the diagnosis of the various body odor/halitosis conditions of persons who test negative for TMAU by helping identify the composition of their odor. As Liz states below, "dogs can separate one odor into all its components. We smell beef stew, they smell potatoes, peas, carrots, etc." Liz Norris has very kindly written a piece (see below) for this blog explaining to us how a Service Dog works. We hope you enjoy her write-up, and we thank Liz for her most bountiful generosity. She is very much appreciated by all of us. Dogs primary ability - sense of smell. Humans "see" at a glance - dogs, "scent" at a glance. Humans acclimate to scent in a room - dogs never do, they fade scent they are not interested in to background "noise" like we do t.v.s, music, our work place sounds, etc. A dogs nasal plane (outside of nose area) and nostrils stay moist so they can dissolve and release scent particles. Every dogs nasal plane (nose area) is as individual as our fingerprint is to us. No two are alike. Dogs have sinuses. They play a role in scent work detection. Humans have 5 million scent receptor cells. Dogs have millions depending on the breed (Doxies for example have 125 million while a Beagle has 220 million. The only breed and size of dog to have the same amount as the large German Shepherds who also have 220). Dogs have a huge amount of brainpower devoted to scent (size of large walnut, matched to a humans pea size area). Dogs can scent/smell under water thanks to the Jacobson Organ or vomeronasal organ in the floor of their nose. A puppy can not see or hear when it is born due to these orifices being sealed. However, they can scent immediately. They use this to find mom, milk, litter mates, you and their surroundings. Called imprinting...the smell, matches the person, matches what is going on or happens. Dogs can register the same scent for hours or even days. Dogs can choose which odor/scent to concentrate on. Dogs have been used to detect gas leaks 20 feet below ground. The best human instruments could not. In Ontario on a natural gas pipeline leak, over 90 miles of pipeline, dogs found 150 leaks (1974). Dogs scent detect ability is so good they can pick a schizophrenic out of a crowd by tuning in on the apocrine gland sweat. This is the gland schizophrenics sweat from all the time. Fear in people produces sweat from the apocrine glands. Hence the old saying of dogs can smell fear...they can. Regular work sweat is produced from a different body gland. Bloodhounds are perfect scent machines. Built for it from head to toe. Bassett is second and designed for perfect scent work. Squash faced dogs have more issues with scent detection thanks to man designing them this way. Air scenting breed examples, collies, Dobermans, standard poodles, labs, goldens. Why would this pertain to a TMAU person? Because dogs have been used by mankind thru out history to do scent work. Hunting for example, tracking down prey or people, another example. For over 50 years we have honed the dogs talents to do Search and Rescue, track criminals, track lost children, lost animals, and medical tracking uses (Diabetic Alert Dogs, Seizure Alert Dog, Blood Pressure Alert, Emotional Support Service Dogs, Post Traumatic Stress Disorder, etc.). Drug dogs, bomb dogs, first responder dogs, etc. Dogs can be taught to find the "hottest scent" source on a human. 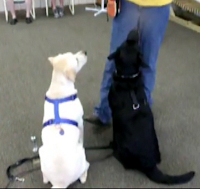 Dogs can be taught to tell the difference between your right hand scent and left hand scent. If you have a scent article you picked up with your left hand and laid it in the row or unscented from you, the dog should match the scented article to your left hand. Same with any body part. For example, I am right handed. Therefore I put more scent on an article with right hand than left because I touch more things with my right. Dogs trained to do scent work must have a "high will to serve" not a, "high drive to power". Not all dogs will be suitable for service dog work due to their personalities and temperaments. Aggression is not acceptable. Towards people, dogs, anything. Training a service dog for guard protection work is not acceptable. Dogs that could care less about you and have a, "user" personality are not good candidates. They will do anything if something is in it for them, but when you need them, they could care less. Therefore, leave the choosing of a service dog to a professional. Make sure if you are working with a service dog trainer they use positive, motivational methods, not shock collars, choke chains, prong collars or slip collars. This is training by bully methods, intimidation methods and will shut the dog down. If I have TMAU issues how can this help me? Dogs can be trained to alert to a scent of any kind. Dog can alert you before a human could smell you. Keeping you in a "safety scent zone". Dog is trained to give a "physical signal" as its alert. Tell me if the scent is really High or relatively Low (requires 2 signals physically from dog). Backpacking Medical Related supplies, Cell Phones, Money, Credit Cards, Emergency Instructions for EMT personnel. Respond to Panic Attacks by redirecting you to something else like stroking the dogs fur. Assist Emotionally Overwhelmed in workplace or at home. Reduce fearful state of mind or hyper-vigilance. Helping you cope with living alone and fear of intruders in home or on way to work or to parking garages. Lower your stress level leading to better health mentally and physically. Am I ready for my medical disability to be public? By having a service dog and taking it everywhere with you and the sign on its pack that says, "Medical Alert Dog" you are saying to the public, "I have a disability". Am I ready to care for a living, breathing thing each and every day of its life until death do us part? Do I have the financial means to support the feeding, vetting and life of my service dog? Am I willing to take the time to learn the training commands, scent work, Public Access Work, required canine manners that it takes to work a service dog in public? Am I willing to keep the work up each day? Do I want to live with a 3 year old for 14 - 18 years even though it can learn 300 plus commands and help change my life for the better? If you are entering a restaurant, they can ask you, "is this a service dog". You say, "yes it is". They can ask you, "what does it do for you"? You say, "it mitigates my medical disability". End of story. They do not have the right to ask you what the mitigation is. That is telling them what your disability is and crosses over to your right to privacy. If you do not care who knows what your medical disability is you can put TMAU Medical Alert Service Dog or Trimethylaminuria Medical Alert Service Dog. If you care about your privacy just go with Medical Alert Service Dog. You have the right to take your dog to hotels, motels, etc. You do not have to tell them it is a service dog coming. They can not charge you a pet room fee. It is not a pet. They can not charge you a cleaning fee. However, if your dog chews up the tables, eats the dresser, tears down the window sash, then you pay the bill and they have the right to charge you. You have the right to take your dog into a restaurant and thru a buffet. Your dog does not have the right to get up, shake hair into my plate and slobber into my water glass. It must lay under the table out of site. You have the right to take your dog to work with you. You do not have the right to let it jump on me, slobber on me, run around the office, etc. It must lay under your work station out of site and be invisible as possible. You have the right to take your dog to school. You do not have the right to let it sniff people, nudge people, or interfere with anyone else in the school system. You have the right to live in the same apartment building where I live (even if pet animals are not allowed, this does not matter. You have a service dog), but your dog does not have the right to leave poop all over the lawns and dig holes in the lawn or bark all night and keep me awake. You have the right to shop in grocery store with your Service Dog, but it does not have the right to sample food, pee on things, eat off the displays, etc.